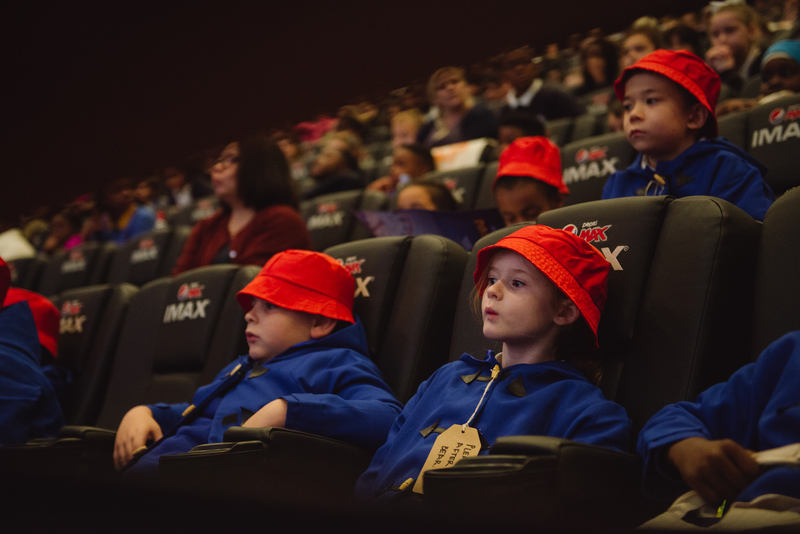 Free cinema trips and resources to engage young minds through the magic of film are once again on offer for schools all over the UK at the Into Film Festival 2018. Returning this autumn from November 7th to 23rd, the Festival is the world’s largest free film festival for young people and a firm favourite with many educators. 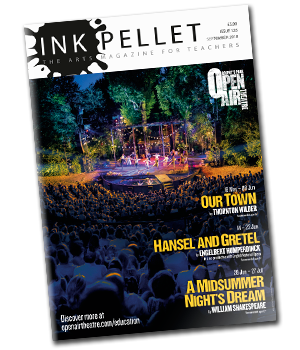 With 3,000 free screenings and workshops, many linked to topical themes or subjects in the curriculum, a packed, three-week programme seeks to creatively involve 400,000 5 to 19 year-olds and their educators from all backgrounds and corners of the UK in cinema-based activities – some attending for the first time. Mental wellbeing and diversity will again feature heavily, and a review writing competition will be on offer to promote literacy and critical thinking. The annual celebration of film and education is hosted by Into Film as part of a vision to put film at the heart of young people’s learning and personal development. It is made possible by funding from Cinema First, the BFI, a wide collaboration with UK cinema industry partners and delivery partners We Are Futures. The Festival supports education through a carefully curated programme encompassing diverse stories, topics and genres as well as access to speakers, special events, review writing and careers activity. Films are mapped against the curricula of all four nations to support subjects including English, history, geography, modern foreign languages (MFL), citizenship, politics and PSHE. Screenings range from previews of new blockbusters to popular classics, foreign language films, documentaries, animation and hidden gems from the archive. Stand-outs this year include Pupil Premieres of the upcoming release The Grinch, Mike Leigh’s historical drama Peterloo, Peter Jackson’s World War I film featuring century old archive footage, documentaries Whitney, McQueen and Human Flow, and award winners The Shape Of Water, Three Billboards Outside Ebbing, Missouri, I, Tonya, Call Me By Your Name and The Post. Mental Wellbeing: Moving Minds aims to open up discussion around the complex area of mental health, what mental wellbeing means to us individually and how we can help others whilst also taking care of ourselves. Included in this strand are screenings to support Anti-Bullying Week, which takes place during the Festival’s duration. Focusing mainly on primary aged audiences but with some titles for secondary, Anim 18 Connections: An Animated World will feature new and archive animated content from across the globe. In this centenary year of women’s suffrage, Year of the Woman: Empowered Voices offers titles that are ‘F-rated’ – a policy that aims to specifically highlight female storytellers, whether as director or screenwriter. Complementing the BFI’s blockbuster autumn season ‘Comedy Genius’, Comedy Genius: Slapstick to Subversive will give a platform to the stand out comedians from film history. The strand is compiled with input from members of Into Film’s Youth Advisory Council and BFI’s Film Audience Network (FAN) young programming groups who have provided their view on what constitutes comic genius. Saving the World: Eco Warriors, Superheroes and Revolutionaries aims to encourage debate about the world we live in, the problems it faces, the activists who are trying to address them and the superheroes real or fantastical who are saving their respective worlds. Visions of Europe celebrates our relationship with continental Europe in the year before Brexit and brings new and familiar European film content to young audiences. Festival guides by age-group and dedicated teaching resources linked to this year’s programme will be on offer to encourage exploration of the films and themes within them prior to and after screenings as well as on the day itself. Resources will be available in PowerPoint format so teachers can adapt them to suit the needs of their students. Workshops and talks will range from Q&As with directors, VFX experts, animators, professional film critics, a stunt co-ordinator and the British Board of Film Classification to a round table discussion with The Academy (organisers of the Oscars) about career options in the film industry. With multiple IMAX & Dolby Atmos screenings as well as the new 4DX experience involving smells, effects and moving seats the Into Film Festival promises the latest in big-screen technology. As part of the commitment to ensuring the Festival is available to all young people regardless of background, ability or location, over half the screenings offer audio-description and subtitling. This year also sees an increase in the number of autism-friendly screenings. Events fill up fast, so check out the programme and book your free tickets now!